Gibbs, 26, has been wrestling on the U.K. scene and got strong reviews for her in-ring work in Stardom in January. Gibbs is still inexperienced, but she clearly is a great athlete and got over with the Japanese crowd with moves based on her gymnastics ability, and in particular, a Space Flying Tiger Drop spot she used on several occasions. Her background includes not only gymnastics, but track and field, bikini figures competition, and CrossFit. There were mixed reactions to her in Stardom but they noted she got over well with the fans. 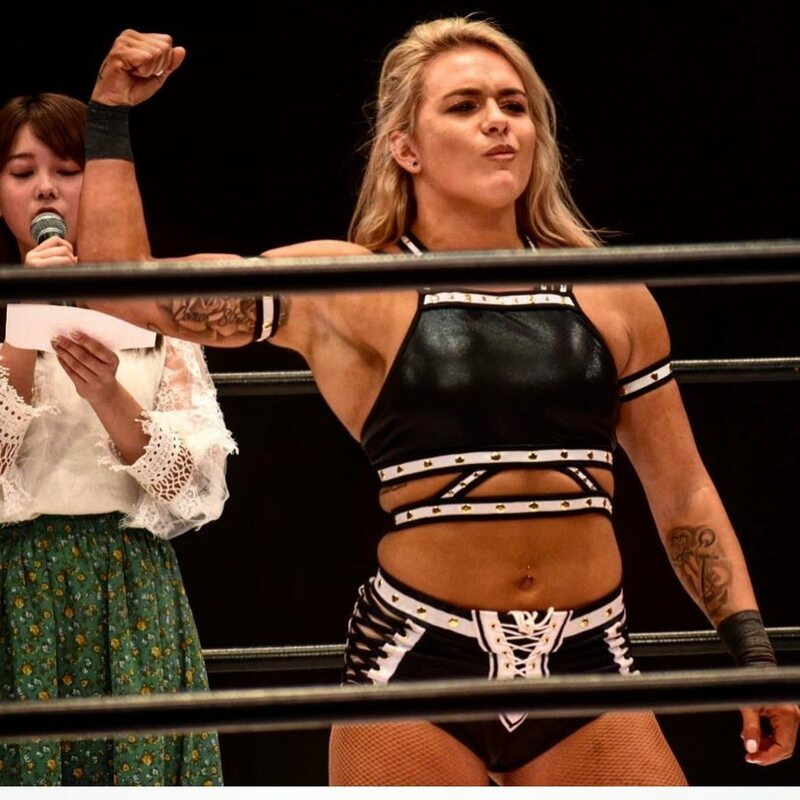 She had two championship matches lined up on her recent tour, but her time on the tour was cut short when she returned to the U.K. due to the death of her grandfather. Britt Baker vs. Nyla Rose vs. Kylie Rae is set for Double or Nothing on May 25, with Aja Kong and Yuka Sakazaki also announced for that show. Bea Priestley will debut at Fight for the Fallen on July 13.